There is nothing new about clip-on IWB-style holsters. Many companies have offered variations on this theme for years. Made with a new wider heavier clip! I have always thought that a number of improvements could be made. Using better leather, of a more substantial weight to take and retain forming, would improve retention qualities. Using better belt clips, made of stronger steel that is spring-tempered, and properly formed to grip the belt and trouser waistband would be a big improvement over older designs. Finally, offsetting the belt clip away from the bulk of the weapon (revolver cylinder or semi-auto slide) would reduce the bulk of the "package" that is tucked into the waistband, while also overcoming the tendency of the clip to snag on clothing, furniture, car seats, etc. In 2010 I started working on a new design. Testing proved the need for an improved belt clip, and several months were required to locate a manufacturer that would provide an improved design. 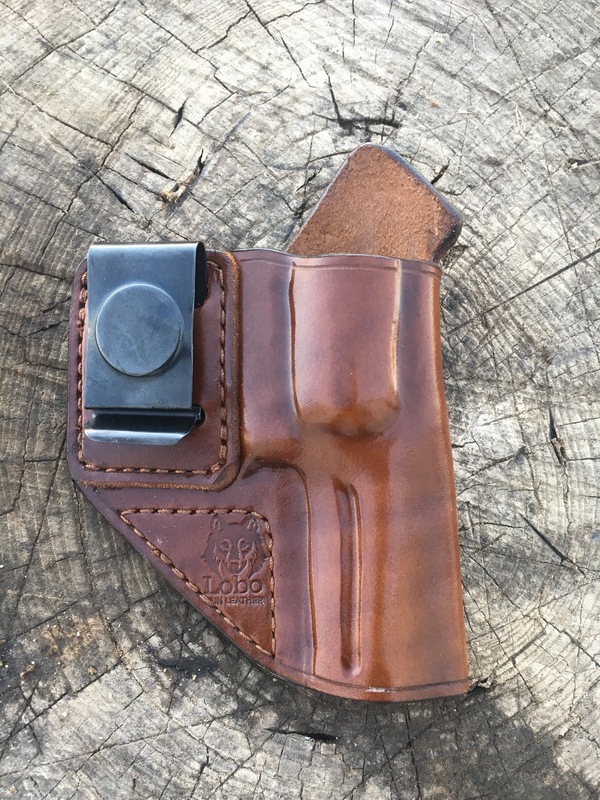 Product development resulted in this new holster design. Neutral cant (vertical carry) allows for strong-side use, while also working well for carry at the appendix position, and functioning well for cross-draw. 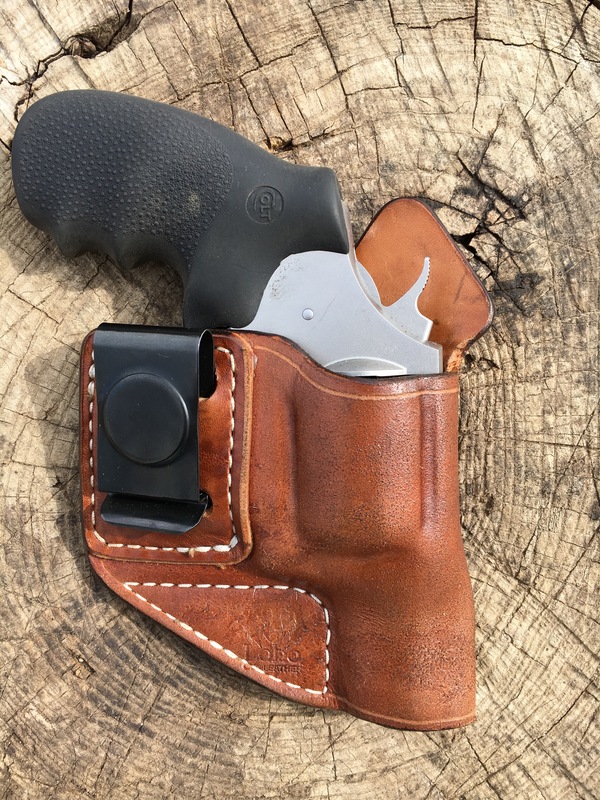 Intended primarily for small to medium sized revolvers and semi-autos, this holster overcomes all of the deficiencies of earlier designs. Minimum bulk, good retention qualities, sturdy spring-tempered 1.5" or belt clip. Well suited for the person who needs to have the ability to easily put on and take off the holstered weapon. This design features a neutral cant (vertical carry angle) suitable for strong-side carry or appendix position while also functioning in the cross-draw role. This model can also be made roughout. **** If you like to carry extra ammo, Don't forget to check out the mag/speedloader pouches!! !